At Waterloo Wellington defeated Napoleon, the master of war, and finally checked the disruptive forces of the French Revolution that had troubled Europe for over 20 years. Wellington taught himself the art of war in India where his hard-fought victories helped lay the foundations of the British Raj. His armies liberated Portugal and Spain, shattered the myth of French invincibility and inspired the people of Europe to resist Napoleon. Largely drawn from original sources, Lawrence James' biography follows the life of Wellington the soldier and explains how he waged the war and why he won battles. This is also the story of a humane, intelligent and acerbic aristocrat who believed that his kind were predestined to lead. It shoes how he stamped his iron will on the men he commanded and how they responded. It reveals Wellington the professional fighting man who created the remarkable intelligence and logistical services that were the keys to his victories. But it was as the national hero who beat Napoleon, gave Europe peace and adhered resolutely to the path of duty that he was honoured by his countrymen who saw him as "the highest incarnation of English character". "The description of the battle (Waterloo) is a stirring account of one of the most important in the history of Europe." 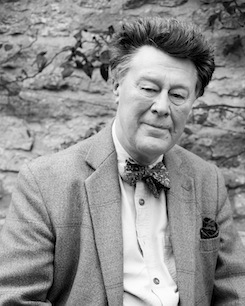 "James proves an excellent literary and historical cook....Lawrence James paints the familiar picture with skill at a length which will be popular with many readers." "...a clear and concise account of the Duke's military life." 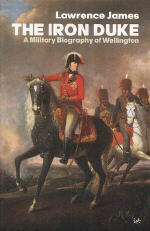 "A first-rate military biography which highlights Wellington's appreciation of the whole business of war: intelligence, strategy, staff work, supply, tactics and, not least, morale."